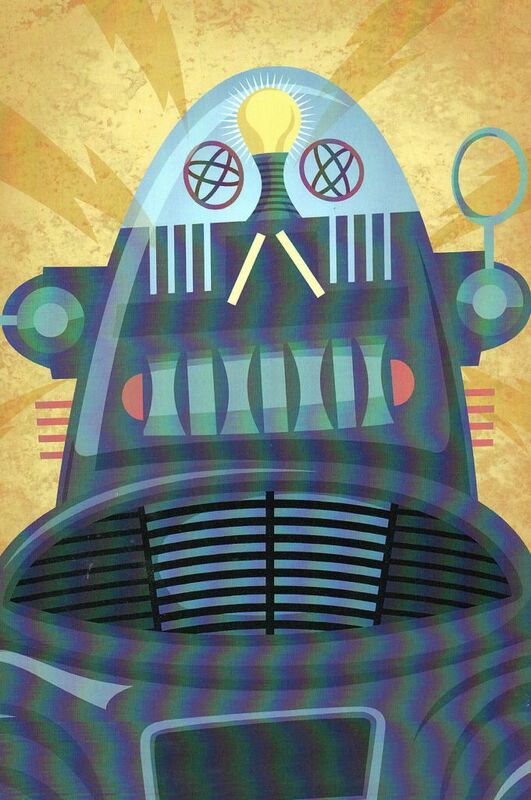 Shown here is a fantastic print featuring Robby the Robot that is hand signed by Artist Jorge Baeza. The print is in great condition and the signature is guaranteed authentic. Measures approximately 11" x 17".